An aquatic garter snake, Thamnophis atratus, who is a temporary visitor to our terrarium. It will soon be going back to the grassy areas near the Lake Merritt estuary, where it can hunt aquatic critters, its favorite food. Sometimes these clever snakes even encircle small fish or tadpoles or invertebrates with their coils, making a kind of holding pen. While staying with us a few days it has demonstrated an affinity for climbing. 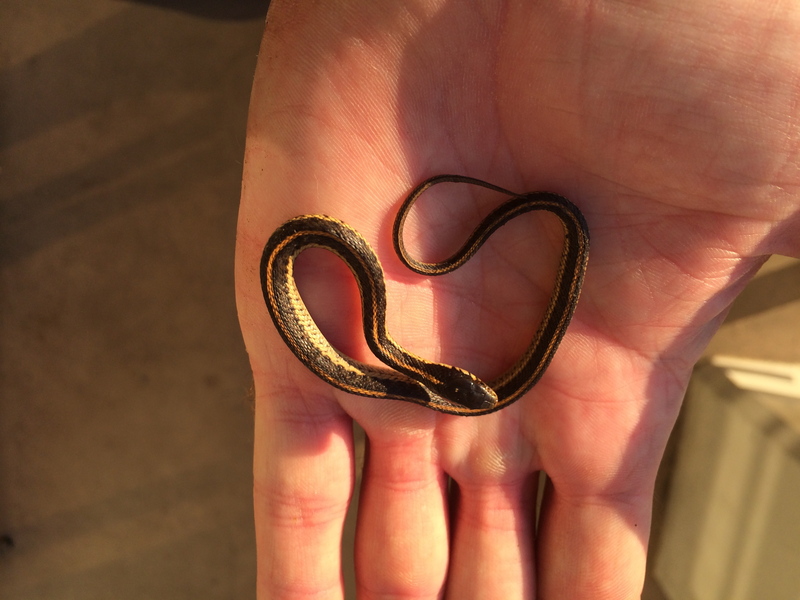 Thamnophis atratus — this juvenile is small enough to fit comfortably on my palm. 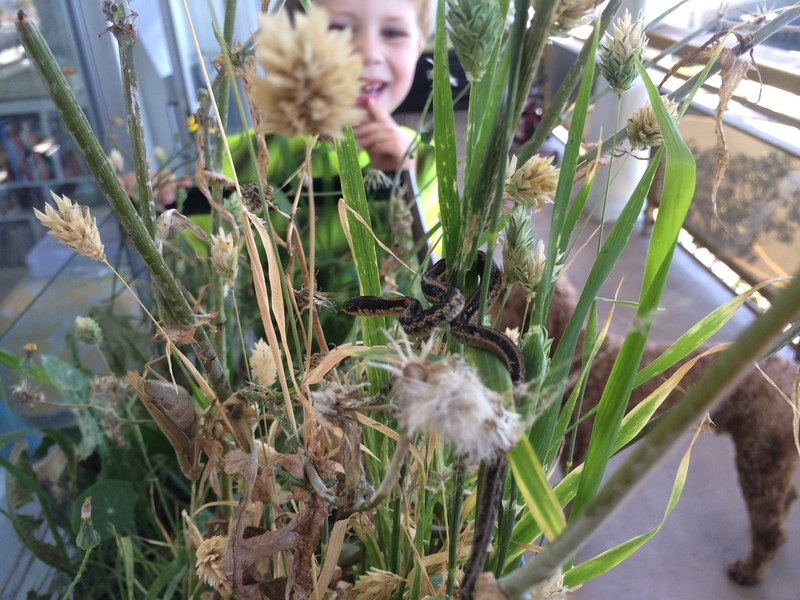 Kieran spotted our climbing serpent and had a good laugh. Note pregnant mama praying mantis to the left.